If there was ever an interesting time for people concerned with freedom of speech and expression to live in, it is now, and it is definitely in India. It has been a series of battles the last couple of years, where a slightly out-dated government machinery has been trying to control and contain the burgeoning online spaces, only to be put in their place by the new-age tech-ninjas that have risen as the new heroes in our digital times. We might not have had our Wikileaks moment in India yet, but the recent consolidation of resources by civic hacker groups and a public outrage against top-down blocking of everyday webspaces have steadily and surely put the questions of censorship and freedom on our minds. The protests have taken many forms – from civic action routes of campaigns and petitions by civil society and non-governmental organisations to guerrilla warfare in the shape of distributed denial of service attacks and hacking of government websites. A lot of these efforts have found popular interest and media attention, but they haven’t always found a solid ground for negotiation and dialogue with the policy makers and legislators designing this information regime. However, after the first off-line mobilisation of protests by Anonymous in India, the government has had to face the fact that the clicktivist users are not going to remain passive, merely venting their discontent on their blogs and social networking spaces. With the sustained and systemic attacks on government, public and corporate websites, revealing sensitive information and taking down web resources the new hackers have shown that they mean business. 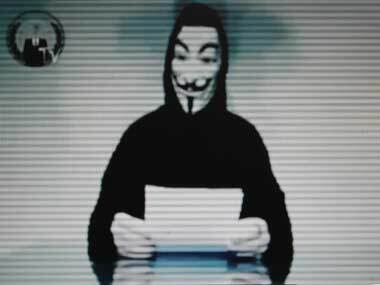 In a recent attack, Anonymous hacked the Tamil Nadu police’s websites and revealed information about the complaints people have made and the actions taken on them. They leaked the document under their Twitter handle ‘opindia_revenge’ to show the police inaction. The documents have redacted some information but it has also revealed personally identified data about the people involved, without taking into consideration that it might affect the people involved in the cases adversely. Acts like these have the cybercrime bureau now tracking down the attackers and taking the help of Internet Service Providers and other intermediaries to punish those responsible. What the outcomes of this battle are going to be, will eventually change the ways in which our digital publics shape up. Given the lack of resistance that ISPs have shown in the past, when pressed for private information on suspicious users, the chances are that we might soon have a public spectacles of hacker-criminals. Looking at the past bungles in this arena, one also hopes that it will not be yet another instance of mixed up administration leading to wrong and misplaced prosecution. But more than anything else, one hopes that the attackers, who have seen their protests as a part of their civic action and right to protest and demonstrate, have been wise enough to protect themselves because they are going to be tracked and tried as criminals if they are caught. Much can be said about the nature of civic hacking, and much has already been said, heralding them as code warriors and berating them as a public nuisance. But in all that cacophony, we might need to separate the ideology (constitutional rights, free speech and expression) from the tactics (DDoS, hacking, parking on websites) and see what interests they eventually serve. Because even as my heart sings with these sounds of protests, there is a growing alarm that these seemingly radical guerrilla warfare might actually be more counter-productive than helpful to the cause of building an open and inclusive internet. Over the last years, many civil society and citizen collectives have realised that policies and regulation are more a dialogue than open warfare. Polarising ourselves on an axis of ‘good versus bad’, at the end of the day, only leads to more regulation and draconian measures because it makes the state feel under threat. Considerable energy has gone into building a culture of public policy consultations and dialogue that allows for different stakeholders to work towards a collective future of the internet. And so we come back to the question of whose interest gets served in the spate of these attacks? This is the same question that haunts us when we hear about our favourite political parties taking to destroying public property and blocking public infrastructure. It is the question that resurfaces when you realise that you might agree with the politics but the tactics are actually harming what you think is important. In the case of the Anonymous attacks, it unfortunately seems more bravado and aspiration to radical heroism than a sustained and strategic set of interventions. With this particular act they seemed to have not only hurt the people on whose behalf they are fighting, but also given the government more reasons and plausible excuses to exercise more regulation and control over the digital technologies. The attacks are a bold move to put the questions of censorship into public discourse, and force the state to acknowledge the problems with its governance. But it would be great to see if we can build on these energies and momentum and lead to a more sustained engagement with the political questions at stake, so at to construct a larger movement to protect our rights to free speech and expression that is beyond the world of ad-hoc hacking and random acts of protest.